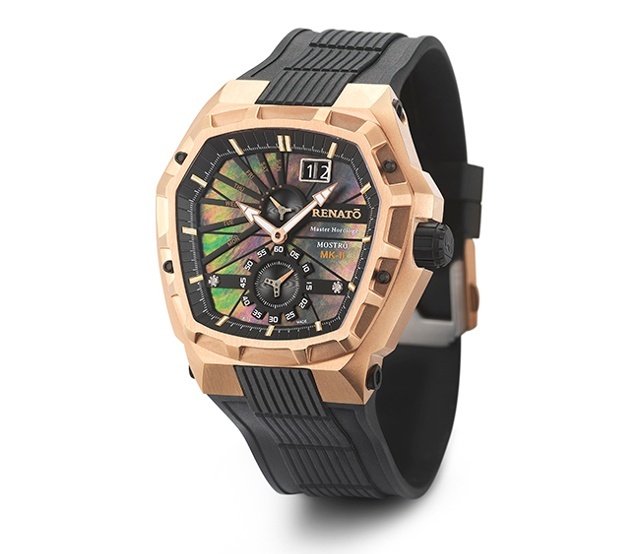 Renato watches are known for their distinct and bold designs, offering the best quality for value within its new Swiss-made division: Renato Master Horologe. These timepieces offer unique complications and complex functions at affordable prices, each limited to 99 pieces per variation. Seven years of success has afforded Renato a devoted following of watch collectors and enthusiasts. 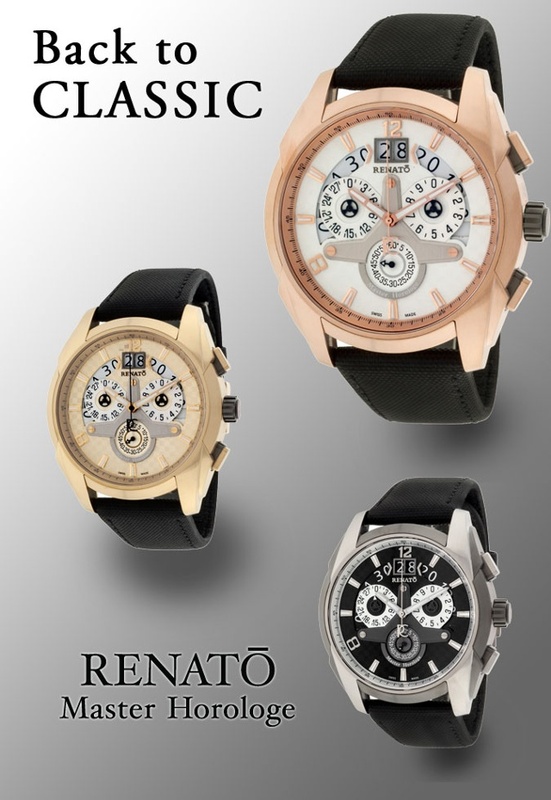 Renato watches are available on the web and at luxury retailers nationwide.